Colin was a fairly new employee in a large furniture removal company operating throughout the country. Through his observations, he suspected that a small group of long serving employees were adding small packages, not associated with the furniture loads, within the larger consignments. He suspected the small packages were drugs and were being sent around the country by the employees in cahoots with the driver, for delivery to various destinations. Colin found that the atmosphere at his workplace was at times frightening and he was concerned the suspect employees were well regarded by management. He was thus fearful of informing them of his suspicions and also of the repercussions for his job and safety if he went to the Police. 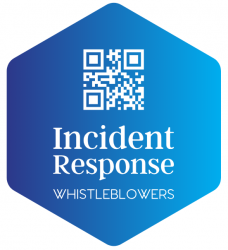 By being able to utilise a ‘whistle-blowing‘ service, Colin was able to have his concerns passed onto to relevant management and authorities with his anonymity preserved.